Before you download our DVD, please note YOU MUST HAVE DSL OR CABLE OR SOMETHING EVEN FASTER as your Internet connection! If you have dial-up, it will literally take days to download and simply won't work. You will also want at least 10GB of available free space on your hard drive to download and uncompress the files. Downloading and burning our skateboarding DVD is very easy. However, even on a blazing-fast DSL connection, it can take SEVERAL HOURS to download the files. We have worked to keep it as simple as technologically possible. Here are your instructions. Good luck! The file that makes a DVD is huge - around 4GB. In fact, it is so big that your browser can't download a full DVD (most browsers are limited to downloading 2GB files). Therefore, in order to allow you to download the DVD we had to work some magic. 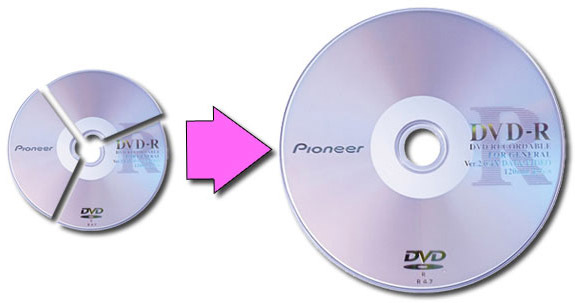 We took the full-size DVD data and compressed it into 3 or 4 smaller segments. Understand? Pretty simple. First you will download the smaller segments. Next, you reassemble the smaller segments into a single full-size DVD file. 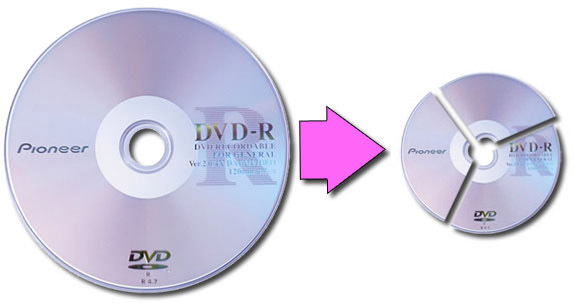 Finally, you will use that single full-size DVD file to burn a physical DVD. Simple. Right? Okay. Now that you understand conceptually what you are doing, let's get started. Click the appropriate button below for your computer type. Skateboarding can be very dangerous. If you decide to become a skateboarder, you are definitely going to fall off. You are definitely going to get hurt. You are going to get bruised and bleed a little. No question about it. All skaters do. Some of you might even end up in the hospital. If you have a really terrible fall, you could be crippled or killed. Be careful. Be cautious. ALWAYS wear a quality helmet and all of your safety gear. Don't say we didn't warn you. When you do get hurt, it will be your own fault. No one in this video made you fall off your skateboard. Please, don't try to blame or sue anyone involved in this video. That's lame and pathetic. We are not responsible for your mistakes. You are. So, take responsibility for your own actions. It builds character and self-respect (and you'll have more friends). During your skateboarding, always remember to HAVE FUN! all content, sourcecode, video and photographs are copyright © 2007 Eric Muss-Barnes. all rights reserved.